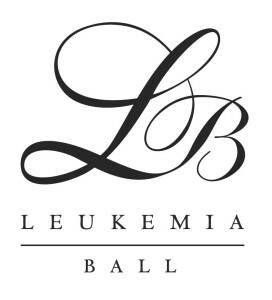 The Leukemia Ball has reigned as one of Greater Washington, D.C.’s largest, non-political black tie events, bringing together business, philanthropic and community leaders from across the metro area for the fight against blood cancer. Together these leaders have raised nearly $60 million for the National Capital Area Chapter of The Leukemia & Lymphoma Society since it began in 1988. Celebrating more than three decades, the Leukemia Ball will return to the Walter E. Washington Convention Center on Saturday, March 10, 2018. The annual event will feature entertainment by comedian Jeff Foxworthy and music by Phil Vassar. Featuring a world-class silent auction with travel packages, and a chance to win one of two Mercedes prizes, the ball raises funds for life-saving cancer research and patient programs provided by LLS. This year’s Leukemia Ball Event Co-Chairs are Rob Copito, Vice Chairman, CBRE, Inc., and David DiLuigi, Market President, Greater Washington & Central Virginia, Wilmington Trust, N.A a part of the M&T Bank family. Thanks to the generosity of the local Mercedes-Benz dealers, there is the opportunity to win one of two Mercedes-Benz prizes. The Grand Prize: 2018 Mercedes-Benz GLC300 4MATIC SEDAN (MSRP:$46,600) and the First Prize: 2 spots at AMG Driving Academy at Laguna Seca Raceway in Salinas, CA including 2 nights accommodations at the InterContinental Hotel & airfare (Value: $6,300). Raffle tickets are $100, and winners do not need to be present to win. Only 5,000 tickets are printed. Tickets can be purchased by calling the LLS offices at (703) 399-2900. There are 20,000 people in the DC Metro Region living with Leukemia, Lymphoma or Myeloma. Help LLS Cure blood cancers by attending this extraordinary evening celebrating achievements in blood cancer research at the Annual Leukemia Ball on Saturday, March 10, 2018. For Sponsorship information or to purchase a raffle ticket, visit www.leukemiaball.org.